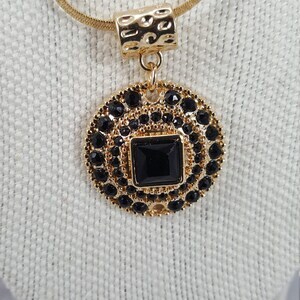 17 Rose quarts pendant necklace surrounded by multi-colored quartz stones. with matching earrings. 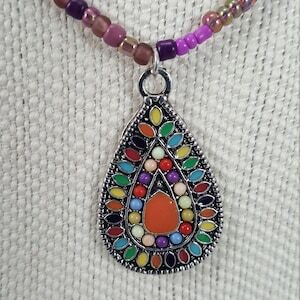 17" Rose quarts pendant necklace surrounded by multi-colored quartz stones. 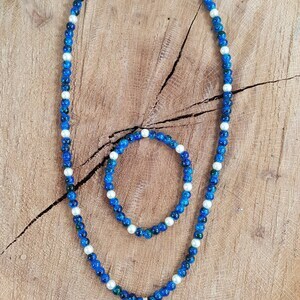 with matching earrings. 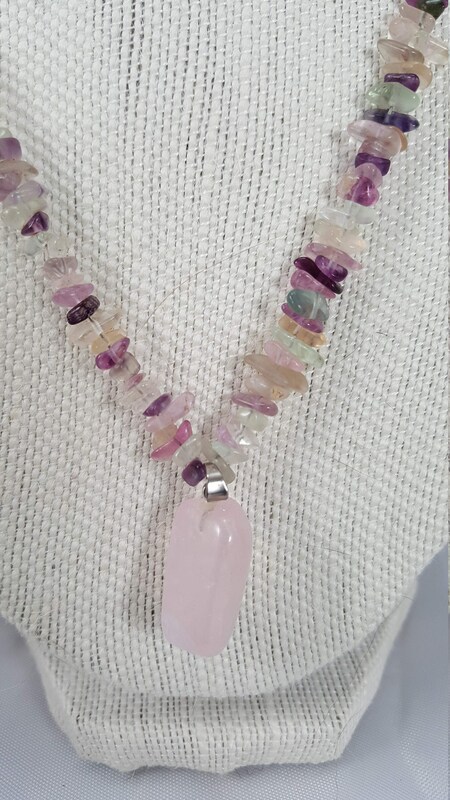 A beautiful 17" mixture of small quartz stones of purple, pink and clear with a magnificent 1" Rose quartz pendant. Fish hooks matching earrings for pierced ears. 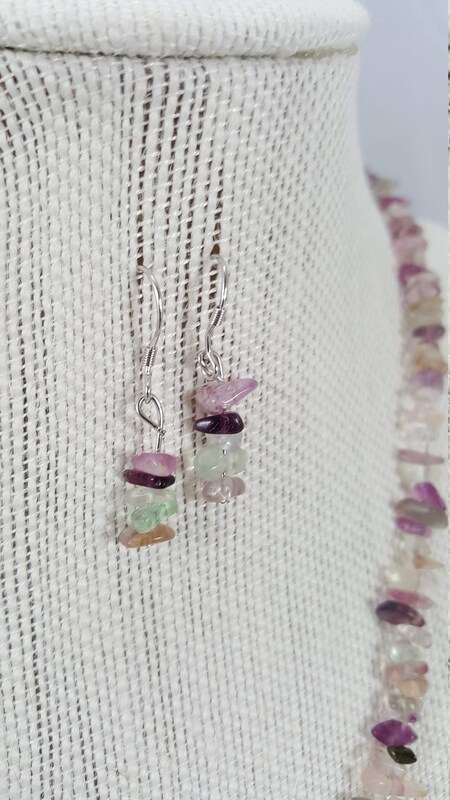 Quartz is known as the "master healer" and will amplify energy and thought, as well as the effect of other crystals. It absorbs, stores, releases and regulates energy. 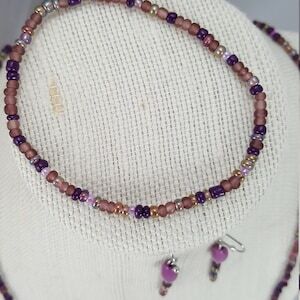 24" petite beaded purple necklace with matching 8" stretch bracelet and fish hook earrings.